Well, Ameba Pico said it's yellow but I prefer gold. haha. I really want to have one but my casino dollards now is 1/8 of the prize and I'm not expecting to get one since I'm not planning to use money for it even it's for two weeks. Don't wanna over do things now and I don't want to waste my money but it's sad that I can't have a rare pet in pico. Oh well, maybe it's really not for me. BUT I REALLY WANT IT!. [Casino] 2 Weeks Only! Yellow Tiger is available! 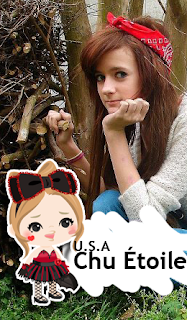 It was 2 years ago when I started Ameba Pico. I wasn't really active at all, I made friends but only few since I only play this game for reversi. 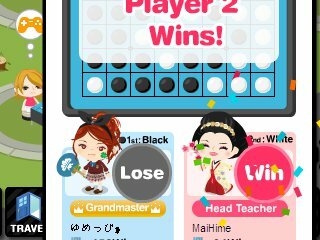 I wanted to know how people good are in reversi in Pico comparing to Pigg which I usually play before. But since most of my friends are in pigg. I don't play the game at all. And because of that, I rarely tell my information to people such as my facebook, name, age, country and more. I was secretive and known as mysterious girl in pico. Until I met a girl who has the same interest as me. 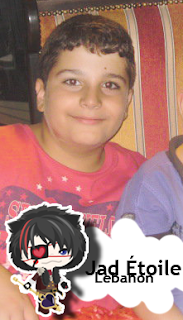 We both like certain Anime Characters and we usually talk about them and we became good friends. Then sometimes, she uses my account to help me make me grand master in reversi. Yeah, Mai loves to help people. 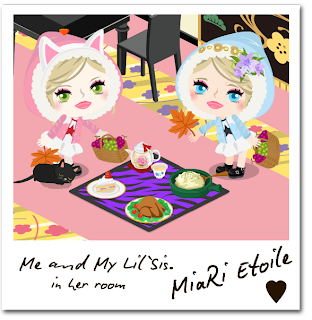 Then until she introduced me to some of her reversi friends and we sometimes meet inside her room. Her friends are really good on the game. And then usually, Mai teaches me the techniques she knows the reason I improved a lot. 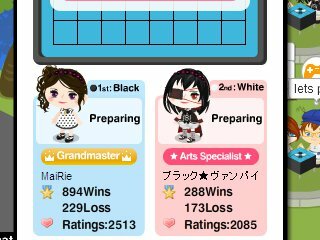 Time came that we are using each other accounts to play reversi and I became Mai's twin. Also Mai taught me on reversi as well. Around Last week of June 2010, I started becoming busy in real life the reason why I rarely online, to be true, I quitted. But take note! 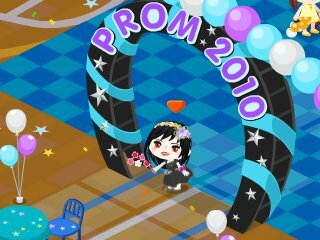 I was able to attend the Prom 2010! Then around last week of September, I came back and I missed many things in the game and Mai decided to give me her 2nd account since it is more updated than mine. Then in October, we decided to make our family name for both of us which is "Étoile". But then, I still rarely online in the game until March 2011. We started the Royal Diary in November 2010 and we made made a lot of posts and tips to help picos. And I just keep on supporting her. Then, from 2012, I started becoming more in public.Time came that I thought I have to prove something and I started publishing my information on my facebook on what I am and who I am. If you are going to ask me what is the best thing I had in Pico. 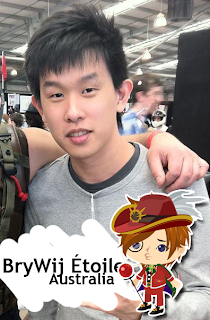 is the Étoile Family I'm in now. They are always there for me, for each other and it's really fun to be with them, to spend time with them. I may not online that much but there's still the bond between each one of us which is always the same what ever happens. That's what I love now. And the other things is, the people who supports me and I don't really know why. Just that, I would like to thank everyone for supporting me, loving me and my family. I don't know how to show how thankful I am but I hope through this paragraph, you, the reader could feel how I feel. From now, I'm sure there would be more things will happen in my Pico life. I will be busier this year for university and I think my time for playing will be lessen, lesser than now. Also, I know I'll meet more people and make more friends. I hope everyone would keep on supporting me, us around. And I'm counting for it. Really, Ameba Pico is so disappointing. Why is there always cheats/hacks in every part of their game? And then they'll ban their users who got tempted to do it? Then, shouldn't they fix it from the first place before the cheating/hacking happens? So yeah, today past rooms were opened. Crystal Étoile messaged me about this. Someone were able to access it and it's so stupid. I'm so mad. Disappointed. Well, how about their so called "Rare Items" we hardly get and kept for long and now in public already? No longer rare. It's so stupid that they don't secure their game. It's not that I'm being selfish here but I know the old pico users would understand how I feel. Here's some pictures I took on the places which were opened and I was able to visit. Just click the pictures to see the whole picture or tab it. There were also Prom but not sure what version it was. I wasn't able to go there since there were so many people, as I heard. Oh well. I just, feel so bad about this. 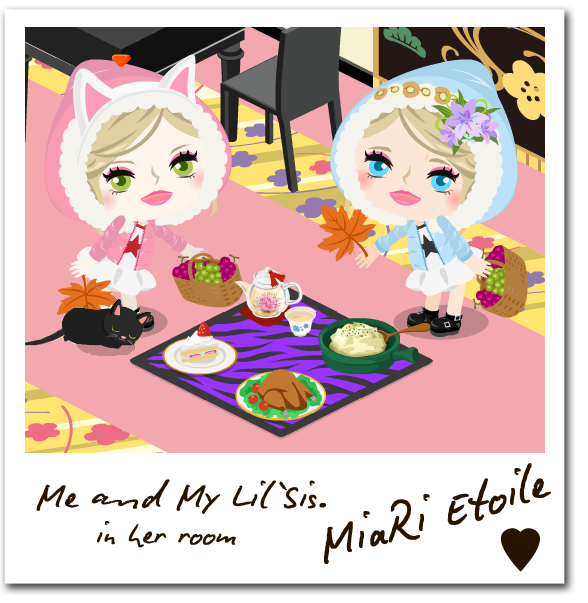 So yeah, Mia and I tried the new gacha and we really love the new wig! And we are so lucky to get brown one *0* So why don't yeah check out the new park and try the new gacha in the Virtual World? I'm sure you'll love them! [New] So Sweet!! Macaroon Room! Feeling like in fantasies? Check out the new Casino Challenge in Las Vegas! 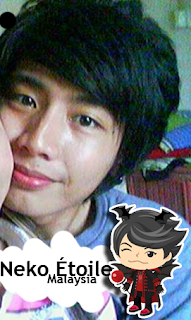 To those Ameba Pico users who loves fantasies type, I'm telling you to try this challenge out! I know you would like them as I do. 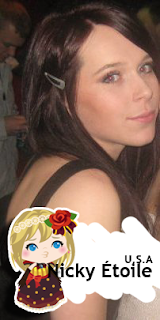 I love the hair accessory butterfly on my head on the picture above! So Why don't yah try it too? [NEW] Enjoy school life! High School gacha! Hello there! I'm Mia. Oh, did I have to introduce? XD Well anyway, I'm here again to teach you one of our secrets! So are you ready? I hope you feel excited now? This time, I'm going to teach you on how to WINK! Well, many people were asking about this for long since our first picture related to this tutorial was in November 2011; Royal Game it became mainstream to people on how we are doing it. Like usual, they thought it's a cheat. lol. So yeah after 6 months, we will be answering your question about this since other people seemed to be claiming the credits that they discovered it with out giving credits. Pft. And that's it! We are done! From Show Time Wigs in Camera! Steps are all the same just like the Type one, the one on the tutorial. So I hope you enjoyed it. See yah! Remember the Red Bad Bunny last time? Now, the blue version is available! Items are really cool and better than the red one! There are new wigs as well! 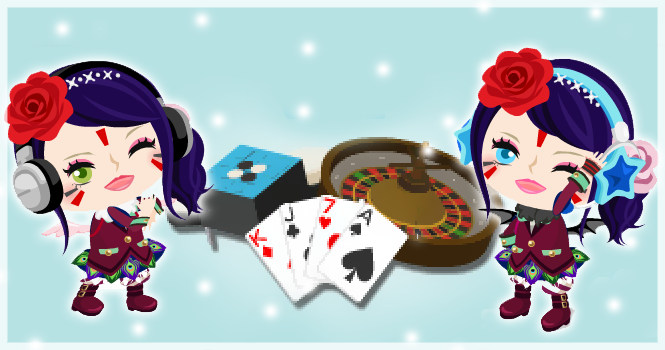 [New] Blue Bad Bunny Band gacha and shop! We've been doing this for long time, since December 2010, Christmas when Ameba Pico released a Christmas Quest and see Santa in the Pet farm. First of all, here's some of our old post and mostly are posted by Mai since she's the one who thought me this; Pinoy Picos, Naked Picos and more~ people would say that we are "hacker" or "cheater" but no. We won't put our virtual life and make is risky, think it would be more fun if we do things like that. This is completely on getting naked using a cheating tool. It's all simple. Wear it and get naked. You'll know the result! Haha! And if you want to cover it just like on this blog;Naked Picos, take two pictures of your pico with the same pose and paste it to paint. Cut or Copy the designated area of the head of your pico. 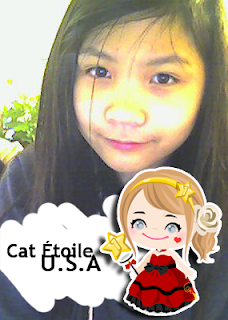 So there are the Étoiles who became part of the family since 2010 except to Neko Étoile. Such a long time isn't? It's already 2012 and they are still part of us. So thankful for being part of the family and we love them so much! Finally, after a quite long time, our tigers is now 1 year old! Well actually, Shainon, Mai's tiger's birthday was last April 1; she had a post about her Shai. 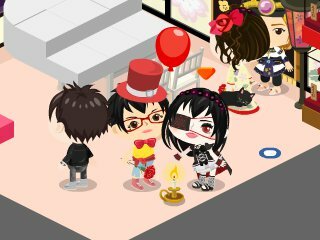 And last April 4, was Shia's first birthday but then, Ameba Pico went all errors and turned out on having maintenance for more than 24 hours and there were lots of circumstances I had after and the reason why the celebration is late. Oh well! So yeah, I'm so happy!